This boy really grew on me in the time he was with us. I was very much tempted to keep him! But as our girl Xia is still so young i just haven’t got the time to bring another dog on right now. BUT i’m very happy to say that he is now with my good friend Richard Harrison. He’s in the very best hands and on the way in his security career – good luck big boy! 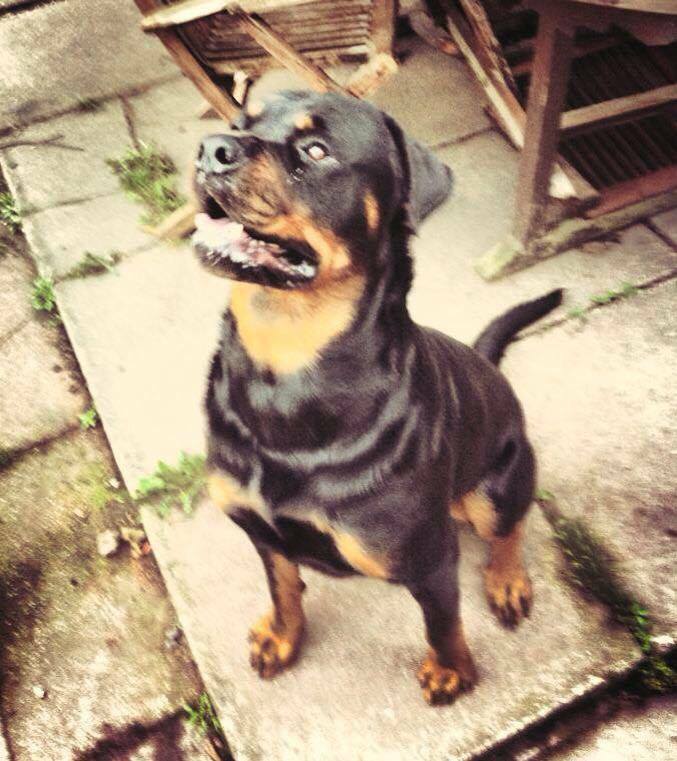 Jake is a 2.5 year old intact Rottweiler. He came to us because his owner moved into a flat that dosen’t allow dogs. Jake is a very boisterous boy who hasn’t learned manners yet. He grew up with small children and is great with them, he’s also very social to people or dogs. At the moment we’d say he isn’t suited in protection work, however it is early days. He has prey drive but not a bad bone in him. He’ll make a nice guard dog, looks intimidating and stands his ground. Jake is with us, he has settled well and is a pleasure to be with!